This is my music website. I play traditional music (mostly English, but also Irish, Scottish etc) on melodeons and tin whistles. 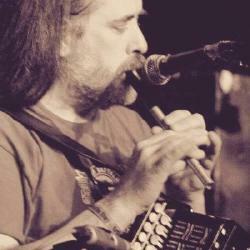 I play for folk dances (ceilidhs, country dances, barn dances) and in the band Greenman Rising. I have been playing the melodeon for around 25 years, and the tin whistle from about the age of seven. I’ve played and danced with several local morris and rapper teams, sat in hundreds of music sessions, played for more ceilidhs than I could possibly count. I am based in Coventry, in the English Midlands.